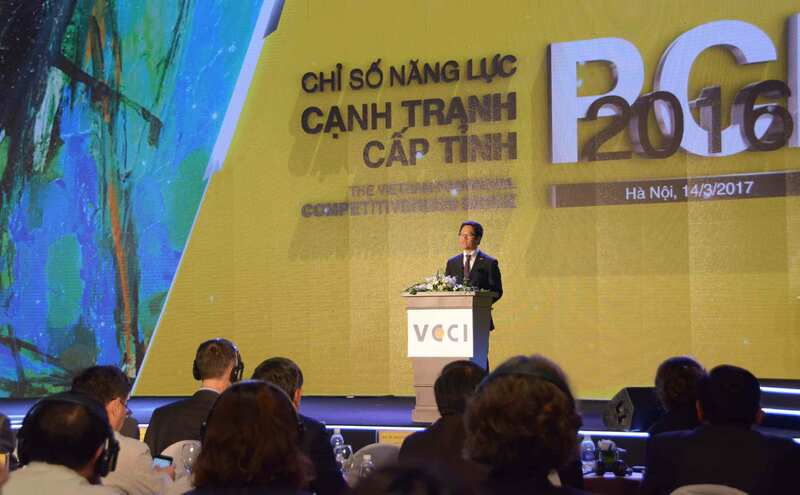 The 2017 Provincial Competitiveness Index (PCI) Report represents the collective voice of the business community on local economic governance and the business environment in the last year for all 63 provinces and cities in Vietnam. The report also highlight provincial efforts in governance reform in response to the implementation of Resolution 19/NQ-CP of the Government on improving the business environment and enhancing national competitiveness; and Resolution 35/NQ-CP on business support and development. 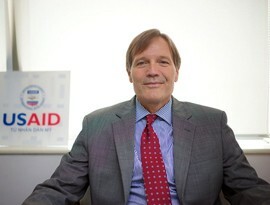 On the occasion of the launching held in Hanoi on March 22, 2018, Vietnam Business Forum interviewed with Mr. Michael Greene, USAID Mission Director to Vietnam. USAID has been supporting Vietnam through its collaboration with VCCI in implementing the PCI study for more than 10 years. How do you evaluate the role and impacts of this study to the improvement process of Vietnam’s business environment? USAID has been supporting the PCI along in partnership with VCCI for many years and because we’ve recognized the importance of the PCI, we think it has tremendous impact on improving the business environment and increasing investment in Vietnam. Especially, since 2014 when Resolution 19 began to require that provincial authorities focus on improving the PCI score, there has been an increasing focus and the local government officials have actually developed interesting action plans and created new ideas on how to improve business environment. The result has been that PCI scores have been rising across the country, in all provinces, but one, I think. The results have been improvement in the World Bank’s Doing Business indicator scores and these are important indications that investors look at to determine to invest their money in their businesses. And so I think that the PCI has tremendous impact in terms of increasing investment because of steadily increasing the business environment. What are the real interests of foreign investor in PCI? What are their concern when making investment decisions in Vietnam? Investors both international investors and domestic investors look at a range of factors when deciding where to invest to expand their businesses. They look at everything from political stability to geographic location, to the work force and well-trained work force available. They look at infrastructure, particular locations, they look at the legal system. These are all factors that are reflected in the PCI. And different investors are focusing on more and different issues. But for all of them, the PCI is important because all the information is there, and they can reflect and fit into their business decisions. The PCI results, I think, have driven improvements in the business environment across the country in specific provinces more than any others. And the results have been the international index like the World Bank’s Doing Business indicator is also improving tremendously. Last year, as we know that Vietnam was from 91 in 2016 to 68 on WB Doing business indicator which is tremendous jump. And so I would just say that these are all factors that investors make on consider what make the investment consider affected by the report and more than the report itself, I think that the report stimulates actions in Vietnam in terms of attracting investment. How do you evaluate foreign investors' feeling/assessments of this year's PCI results towards the business environment in Vietnam? How do these assessments affect to Vietnam's policies to attract foreign investment, especially from the U.S investors? One notable finding in this year PCI is the high level of confidence expressed by both local companies in Vietnam and FDI-invested companies. The PCI survey shows that 52% of Vietnamese companies expanding their business in the next two years and 40% of international invested companies expanding their business in the next two years. This means more investment, more growth and more job creations. In terms of U.S investment, it’s interesting that most U.S investment much here is made through U.S subsidies of U.S companies that are based in Hong Kong and Singapore. And that investment seems to be come from Hong Kong and Singapore but instead of U.S companies through their subsidies. But we have noticed that the U.S media over the last year has been very full of positive articles about the good business environment and positive environment for businesses investing in Vietnam and so as the results, we expect continued strong level of U.S investment here. Vietnam is continuing improvements to its business environment by simplifying administrative procedures, reducing relevant costs for enterprises and increasing added value for the economy. In your opinion, what should Vietnam undertake to achieve this goal? I think the best ideas for how to improve the business environment in Vietnam are actually coming from provincial level whereas the business environment needs the most improvement. We’ve seen in recent years our innovative new ideas bubbling up from provincial officials. The idea one-stop shop is not new but I think Vietnamese provincial officials have taken it to a new level, and the idea one-stop shop, of course, is to centralize decision – making so that one entity can make decision, one entity can take care of all the administration of setting up and upgrading a business. So one-stop shop is very good idea and it should be made extended across Vietnam. A couple of other ideas are in Quang Ninh province. They have implemented a program called Departmental and district competitiveness index (DDCI) which is much like the PCI but takes it down to sub-provincial level where they can monitor the performance of officials at sub-provincial level and at the district and the department to ensure they’re following through our improving business environment and facilitating businesses. So that is an interesting idea. Another interesting idea is come out of Dong Thap province where they have created what they are calling is the “biz café” model which involves informal interactions between provincial officials and the business community on weekly basis they can discuss ideas for improving business environment. And that model has been adopted by other provinces as well. So I think those are new interesting ideas. Of course, the longer term challenge is to ensure additional value added to the economy and that is gonna mean continuously focusing on improving productivity. And the productivity at enterprise level involves upgrading management, capacity and practices, introducing new technology into their businesses, training workers so they can be more productive and all those aspects are going to increase productivity and economic growth.